This is the lowest price we’ve seen on the TICA Cetus GV800 Spinning Reel, thanks to ‘Rick J’ for this HOT TIP! We’ve seen this listed as high as $80 elsewhere. 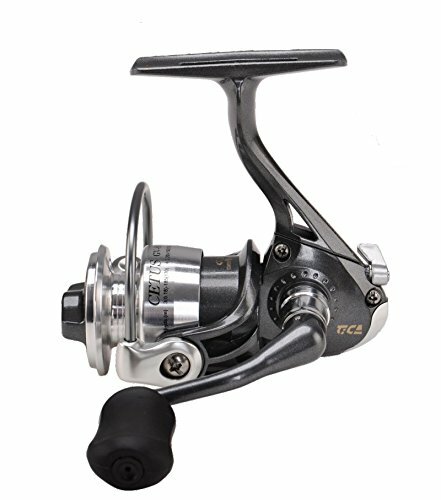 Own and use a TICA Cetus GV800 Spinning Reel? Take advantage of this Ice Fishing Deal? Give us your two-cents in the comments below. Posted on October 15, 2018 October 15, 2018 by IFDPosted in All Deals, Rods, Reels, & Tip UpsTagged Amazon, cetus, ice fishing reel, ice reel, Reel, tica, tica cetus, tica cetus gv800, TICA Cetus GV800 Spinning Reel, tica cetus spinning reel, tica ice reel.